A Grab Dredger picks up seabed material with a clam shell bucket, which hangs from an onboard crane or a crane Barge, or is carried by a hydraulic arm, or is mounted like on a dragline. This technique is often used in excavation of bay mud. Most of these dredges are crane barges with spuds. The Grab Dredger is the most common used dredger in the world, especially in North America and the Far East. 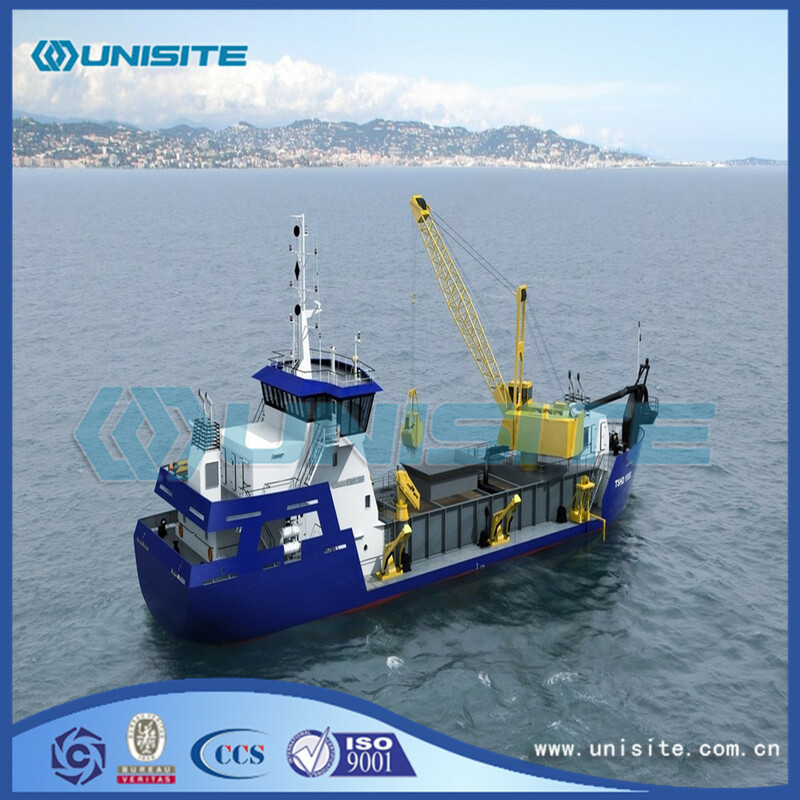 It is a rather simple and easy to understand stationary dredger with and without propulsion. which make hoisting more simple and easy operation,realize fixed and pvikut digging. which greatly improve dredging efficacy of the , make dredging work more smoothly and reduce drivers operating intensity. 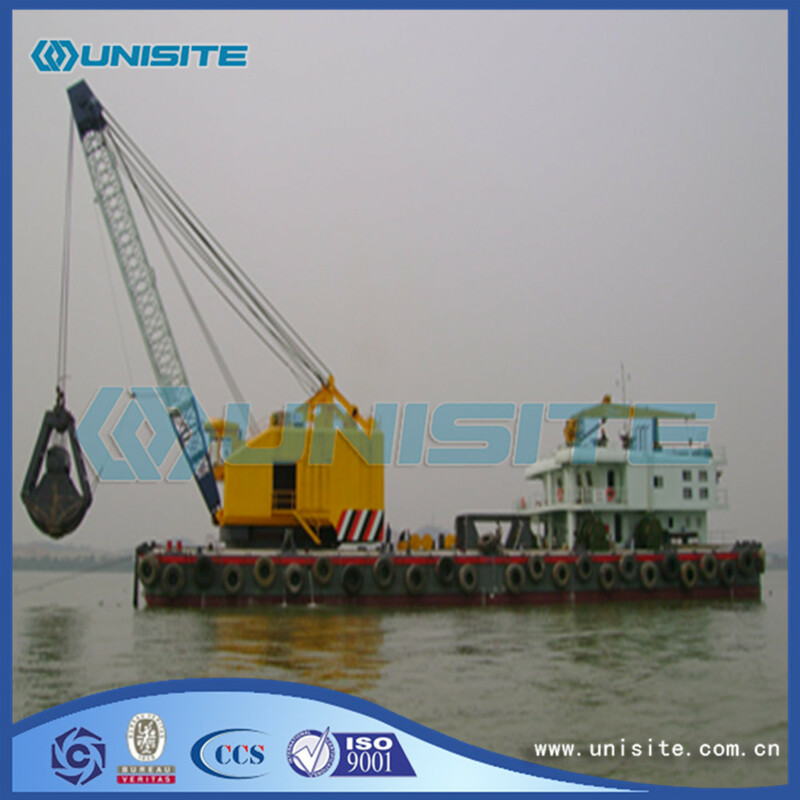 which greatly improve underwater dredging work quality,make dredging depth be fixed and avoid over dredging waste. 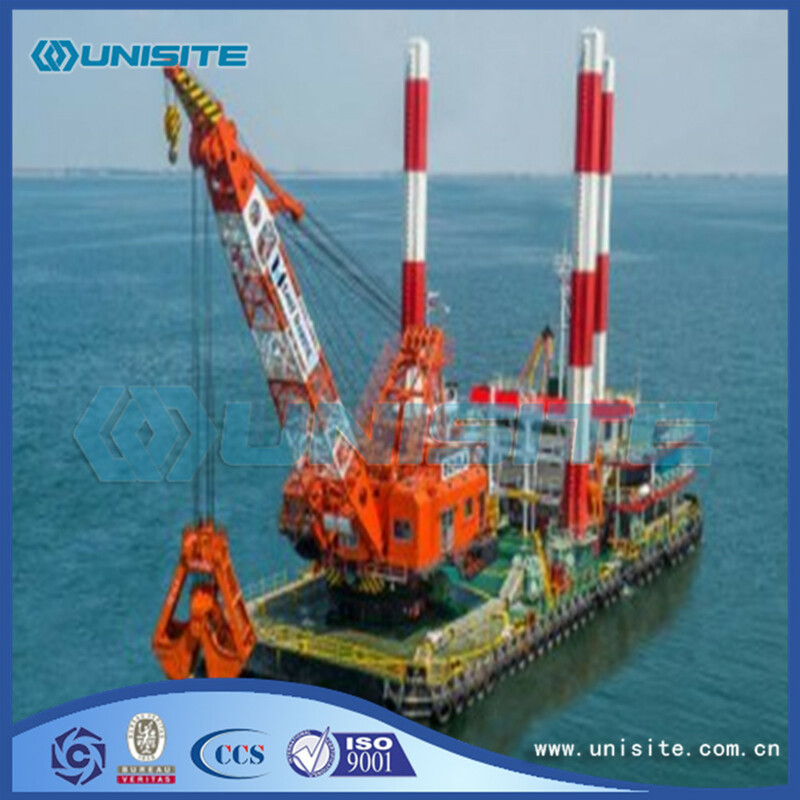 and grab trajectory, ensure high efficiency, high precision of the dredging engineering construction. Which can store several type grabs` work processing procedures for the users to change grabs in accordance with work. By using such flat digging system, we can not only make digging face level to meet the dredging project quality requirements,but also can relieve fatigue of drivers. abroad.meet all kinds of marine waterway dredging engineering. Our grab dredger is equipped with a data depth gauge and simulated bucket opening degree gauge ,which indicating working depth and grab opening degree. the accurate of the grab dredging depth of the water. Looking for ideal Steel Marine Dredger Manufacturer & supplier ? We have a wide selection at great prices to help you get creative. 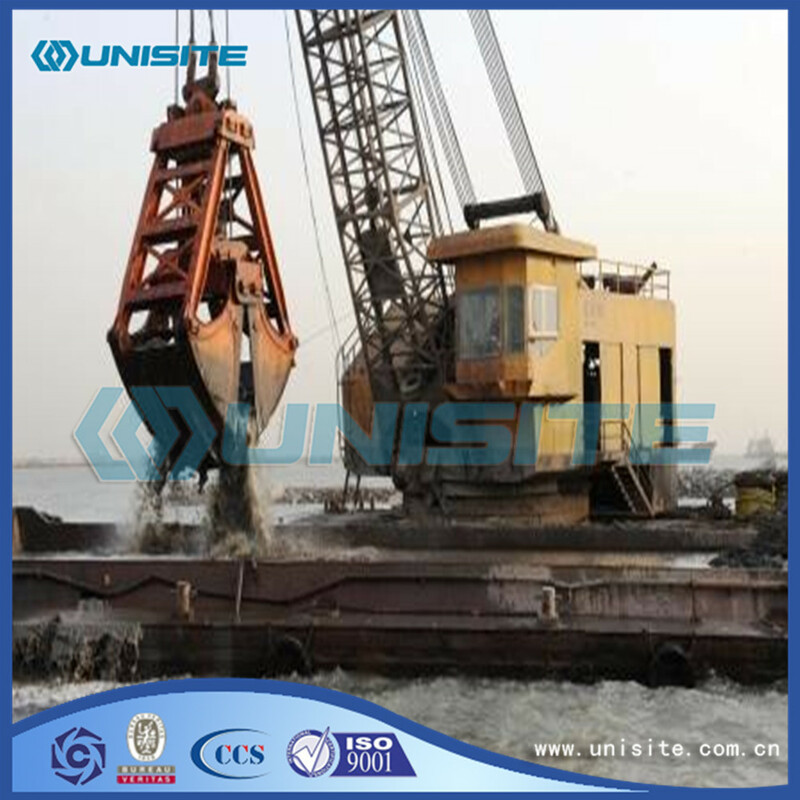 All the Grab Steel Marine Dredgers are quality guaranteed. 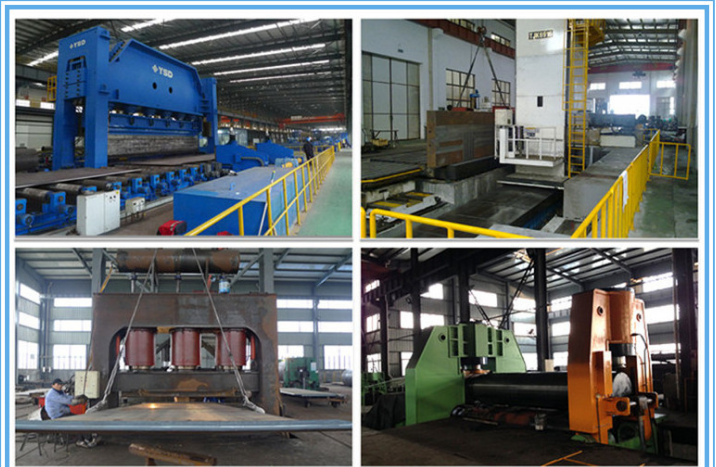 We are China Origin Factory of Grab Steel Marine Dredger. If you have any question, please feel free to contact us.